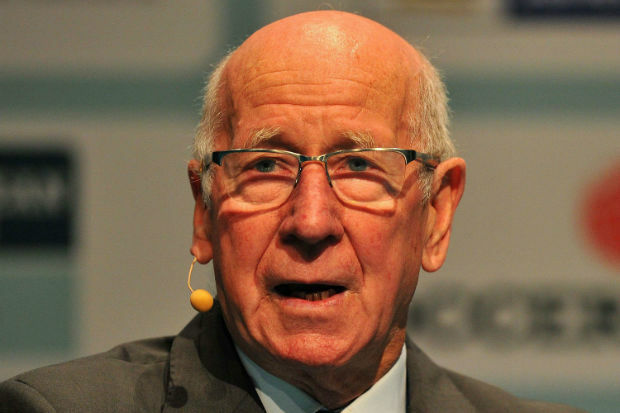 Sir Bobby Charlton is not just a soccer legacy but he is what soccer royalty is made of. A bona fide Manchester United star and icon, his name is synonymous with some of the greatest moments of the game. Bobby Charlton is without doubt one of the most famous English players of all time. He is also regarded as one of the true gentlemen of the game due to his high levels of sportsmanship and integrity. There was a time where he was the most famous Englishman living on the planet, it was only his humble nature which made him stand out even more and avoid the negatives of the game. His was a name which was on everyone’s lips following England historic – and to this day only – World Cup win and Manchester United’s European Cup win. Robert Bobby Charlton was born in 1937 in Northumberland, England into a family of soccer players. However despite this Charlton always credited his grandfather and mother for instilling the love of the game in him as a child. A then 16 year old Charlton was spotted playing for his local school’s soccer team and signed on by Manchester United when he was 17. Along with fellow legends George Best and Denis Law he produced some of Manchester United’s greatest football moments. Charlton’s name was synonymous with grace, speed and athleticism which made him a danger in the soccer field. He practically won everything he ever played for including the World Cup, medals, goals, and caps. Apart from his magnificent record and athleticism there was a lot more to Charlton. He stood for something the entire world admired; he was a gentleman and the ultimate old-fashioned sporting hero. Throughout his career he was never in trouble, never argued with referees and showed respect and honesty to his opponents. In simple words he was the perfect role model and cemented his status as the greatest ambassador in the history of British sport. For Manchester United Charlton made a total of 758 appearances and scored 249 goals during his 17 years there. With Manchester United he won the team their first ever European Cup in 1968, three more league titles and the FA Cup. He also played a starring role in England’s 1966 World Cup win/ Charlton notched three goals in the deciding semi-final against Portugal. Charlton was instrumental in England’s triumph, including scoring winning goals in deciding matches against France and Mexico in the earlier rounds as well. Charlton won the coveted Ballon d’Or in 1966. He has also received the knighthood in 1994 and was inducted into the English Football Hall of Fame in 2002. He was the BBC Sports Personality of the Year in 2008 and was voted as the 4th Greatest Manchester United player of all time. He is included in FIFA’s list of the 100 Greatest Footballers of all time and also in the Football League 100 legends of all time.